Quite often PC users can see the message like "local area Connection has limited or no", in which the user is unable to access the Internet. Perhaps, for experienced users of personal computers it is no secret that the LAN connection be sure to use the opportunities of the Internet. Often there are situations when it is limited or disabled. There are several causes of such messages. The first reason is if the computer is connected to Internet via LAN wire is disconnected. Of course, the solution to such problems is only one to connect it to the computer and create a connection to the Internet. The second reason is a problem with the operator itself. 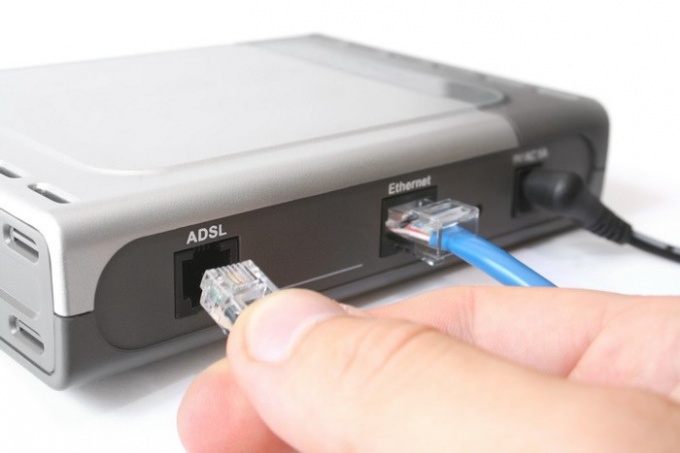 This problem can be solved only in case if it is discovered by the provider (company that provides Internet services), and then it does not matter the type of Internet connection. There is another reason, which is found a little less and it is due to improper use of network equipment by the subscriber (including breakdown of machinery). In any case, if a message appears stating that the LAN connection is limited, first go to "Network connections". For example, go to the menu "start" "control Panel", then click "Network and Internet" in the list of all connections to find the "local area Connection". Press the right mouse button and from the appearing context menu click on "Status". You then go to the tab "Support" where to click "Fix". If malfunction is not found, then you should disable antivirus software and firewall, then repeat the previous manipulation. Next, you need to check the settings of the Internet Protocol TCP/IP. For this purpose, as in the previous case, again you need to go to Properties of LAN connection and go to the tab "Internet Protocol TCP/IP". For stable operation you need to do so that had the following parameters: the fields "DNS" and "IP address" you need to select "Automatically". Then you need to repeat again the first step. The last step involves the execution of some commands on the command line. In order to open it, go to "start menu" and click on "Run". In the popup window fit command, which opens the software needed for the latter manipulation. In modern operating systems you need to enter the command: ipconfig /release and press enter, then ipconfig /renew and then press again this button. In most cases, these operations help to solve an urgent problem. Otherwise, you need to contact the technical support of the provider.